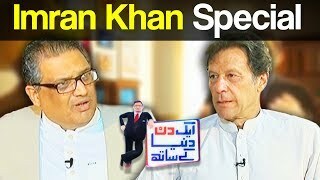 Watch Aik Din Dunya Ke Sath with Sohail Warraich - Imran Khan -16 July 2017 - Dunya News Dunya News is the famous and one of the most credible news channels of Pakistan. Watch latest National, International, Sports, Entertainment and Crime News, and talk shows on current affairs and entertainment. Please to this channel and our flagship shows partner channels Hasb e haal Mazaaq Raat to DunyaNews Channel subscription_centeradd_userdunyanews1 Dont forget to LIKE and SHARE this video with all friends.